Looking for private in-home or in-studio lessons? Our East Weymouth teachers are ready to get you started. Find your teacher today! Can't find a teacher in East Weymouth? Students are raving about their Language instructors on TakeLessons. Check out some of these recent reviews. "Amazing teacher I've ever met. She can explain clearly and make me understand English better. A million thank Mariella." Boston, MA teacher: Mariella K.
boot, she's enthusiastic about her job and makes our classes fun. I'm excited to see where my spanish skills go with Ana guiding me." Boston, MA teacher: Ana S.
made this work for me. Ana is very good at pacing the lessons according to proficiency level and she makes it fun with different exercises and activities. I am still at the beginner level but I am feeling more confident when I am around Spanish speakers. I feel particularly confident in my ability to read and understand short passages, signs, directions etc. I highly recommend Ana to people of all ages and skill levels." "Ali is great! Patient, knowledgeable and flexible"
Boston, MA teacher: ali Y.
' needs and mixes her lessons with fun exercises and Spanish popular culture such as movies, videos, and online articles. Ana is very patient but also holds her students accountable -- to me a great combination when learning a language. I would highly recommend Spanish lessons with Ana." wledgeable, patient and supportive and I couldn't ask for anyone better to work with. I would highly recommend Ana to anyone who wants to learn Spanish." "Always learn so much in just 30 mins"
estions. She also tailors the lessons based on my needs and she is a motivating and patient teacher. 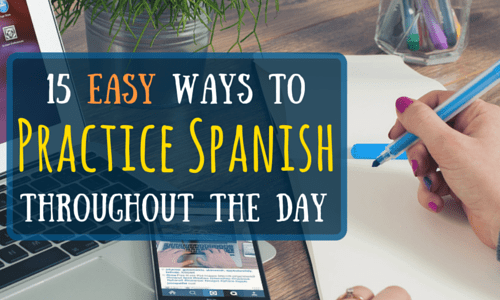 She uses a great variety of learning materials for her lessons and exercises, which makes it fun to learn Spanish! I would highly recommend her to anyone who would like to learn Spanish!" "My daughter Jasmine really enjoyed having her online Spanish tutoring with Ana. She is a big help to boost her confidence!" Check out some of our most popular teachers near East Weymouth including Boston, Cambridge, Brookline, Somerville and Lexington. etc. As a musician, Itai writes songs, composes music for communal singing, improvises, and plays in a Klezmer band. Aside from tutoring, Itai works as a songleader, teaches at the Hebrew school at his synagogue, growing a new outdoor Hebrew school, and occasionally teaches at an outdoor education program. Please feel free to get in touch and ask questions! Please note that there's a name I don't use anymore and one of my reviews reflects that. Yes I am the same person. Itai was fantastic. Reliable and knowledgeable. I had been through many teachers to find one as good as Itai. Also very flexible with what I was interested in learning. This first class was great. We had some small problems with the camera and voice, but that had nothing to do with Itai. My son was excited when class was over. He is looking forward to his next lesson. My name is Ali Y, I graduated from Boston University with a master degree in 2017. Before I graduate, I started to teach violin and Mandarin in Takelessons, as you can see in my reviews, I have a very high rating since I started, every student like to play violin with me because I always can see their smile in the lesson. I’ve begun to study in BU with Professor Bayla Keyes since 2015, in these two years, I’ve learned a lot from her, not only my violin skill but also a lot of teaching methods. I got my bachelor degree in Renmin University of China, which is one of the best university in China. I had 24 students before I came to the States, several of them won the first prize in different violin competition. he same time. I hope my student to love music instead of just playing the music. Very patient. Provided great tips on technique improvement. Experienced teacher of 5 years, specializing in the beginner/intermediate student! All ages welcome. Lessons are customized and catered to the needs/goals of each student. Lets's get started. This days I am working as a teacher in an after school program in Brookline. I have recently finished all of the requirements for my second BA in Mathematics education and teaching certificate . My first degree is in Industrial Engineering and Management. My name is Maggie. I recently earned my Master's degree in string performance at Boston University. I have won many prizes as a soloist. As an orchestra musician, I have been playing for 10 years. I have been working as a music teacher for 9 years. I have taught violin, viola and beginner piano lessons. I love developing students love for music. I greatly enjoy teaching music students and sharing my love for music with them. Because of my experiences and education, I am able to assess easily what each student needs and how to help them achieve their goals. Maggie is a fantastic teacher. I have been teaching languages for 21 years. We aim to teach you real, useable Japanese tailored to your needs. We also aim to help you learn to teach yourself. I'm a professional guitar player from Norway and a recent graduate of the prestigious Berklee College of Music. I have toured in places like Argentina, Norway and Japan, and have played some of New York's most famous jazz rooms like Smalls and Dizzy's club at the Lincoln Center. I am comfortable showing you the ropes for any style you enjoy within contemporary music, such as rock, pop and jazz. I have won several notable awards and scholarships for my playing and writing, including the notable Berklee Jimi Hendrix award. I am also able to teach Norwegian for those interested. I am excited to be working with you! Had a great lesson with Tim! I got a lot of helpful advice and while having a great time!! I am originally from Pennsylvania but lived a number of years in California where I obtained my TESOL certification in 2004. After that, I moved to Chile where I picked up the Spanish language and truly fell in love with teaching English. Now, I'm back in my hometown and teaching a diverse group of language learners at Lehigh Carbon Community College. Teaching brings me great joy. I love working with language learners of all levels. My primary area of expertise is working with adults but I am happy to work with children as well. My favorite thing to practice is pronunciation. I look forward to working with you! I was an ESL student in Tara's class in 2018. In this class, I was still beginning to become familiar with the English language and she was certainly a key teacher in this process. Classes were always very productive, balancing theory and practice. She provided activities in groups, individual, games, videos, readings and discussions, homework assignments and even extra material for that student who wanted to go beyond. She was very organized, every class had with her planning wrote down in a notebook and always shared with us what the class would be like. She had very interesting strategies, such as the daily way of teaching and resuming new vocabulary. Most of the time, in the next class she already had the activities or tests corrected, the recovery of our mistakes always asked if we had doubts. He is a person who was always smiling and encouraging the students, even some who are tired of a full day's work. And she has a differential that is helping students beyond the classroom, in my case, I shared my difficulty speaking in English and she became available for conversation classes in the summer holidays. Of course, that helped me a lot! Finally, Tara was essential in my walk in learning a new language. She is fantastic! I have observed many of Tara’s lessons. They are always very fun and engaging. She is sure to match student interests and needs with lesson topics. She also does a good job of giving feedback to students to help them improve. Highly recommended! Tara is an experienced and dedicated ESL instructor. I recommend her to anyone needing to master English at any level. Having been a teacher/tutor for many years, including improv, theater, elementary school math, English & reading comprehension. My style is patient, yet focused on learning and pushing boundaries, while making sure my students have fun and enjoy learning. I was Adjunct Faculty at Clark University for 5 years in the Visual and Performing Arts Department, after that I unofficially tutored many of my friends & family in various subjects, mostly math and essays. e fun in a subject that may have felt tedious - they've found a reason to WANT to learn. I want to bring that positive energy to everyone I tutor. I majored in French in undergrad, studied abroad in Dijon, where I became fluent, and have traveled back many times, to preserve my French language. My strengths are in the beginning stages, where you're learning all of the basic phrases and things begin to come together. I also prefer to teach French through French, rather than translation through English. I've been a writer & avid reader my entire life. I was always the friend that edited my friend's papers/grammar, loving to discuss the language and learning/understanding why we write things the way we do. I have a good eye for detail as well, which helps with proofreading. I want to bring positive, fun thoughts to your education. It doesn't have to be difficult and tedious - we can learn and grow, through the lens of excitement. If you work with me you, you will get a patient, compassionate tutor that wants you to be the best version of you that you can be. We will work together to ensure that happens. Hi Everyone, This is Natalie. I am a Native Cantonese speaker is here to help people improve their Chinese Skill. Whether you're just starting out or a seasoned pro, check out the Language articles on our blog.